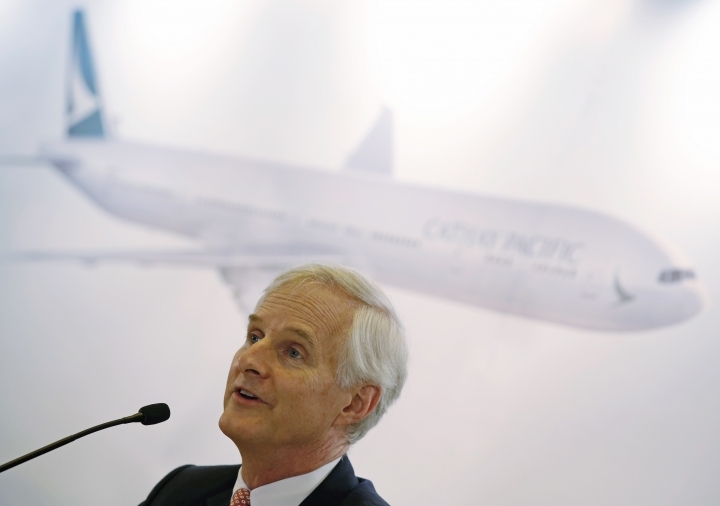 HONG KONG — Cathay Pacific Airways said Wednesday that its profit tumbled in the first half of the year as economic weakness in China and other important markets cut passenger demand while it faced cutthroat competition from rivals. Hong Kong's biggest airline posted an interim net profit of 353 million Hong Kong dollars ($45.5 million), down 82 percent from the same period a year earlier. The airline said its earnings were hurt by "economic fragility and intense competition" in the January-June period, putting sustained pressure on revenue, which fell 9.2 percent. 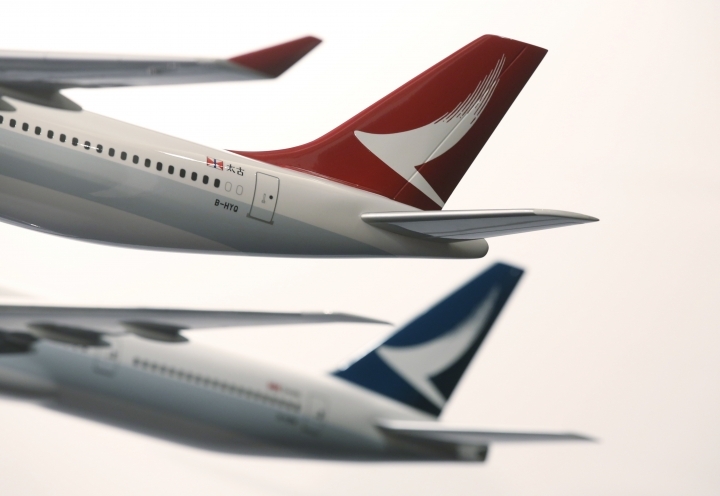 The company, which also operates regional carrier Cathay Dragon, said passenger numbers rose 2.7 percent but the money it earned from them fell 10 percent. Cathay said mainland China's economic slowdown and weak conditions elsewhere cut into demand for lucrative business class seats from corporate customers. Fuel costs, the airline's biggest expense, helped offset the poor performance somewhat. They fell by 20 percent to HK$3.4 billion after losses from hedging contracts were taken into account. "We expect the operating environment in the second half of the year to continue to be impacted by the same adverse factors as in the first half," Chairman John Slosar said in a statement. "The overall business outlook therefore remains challenging."